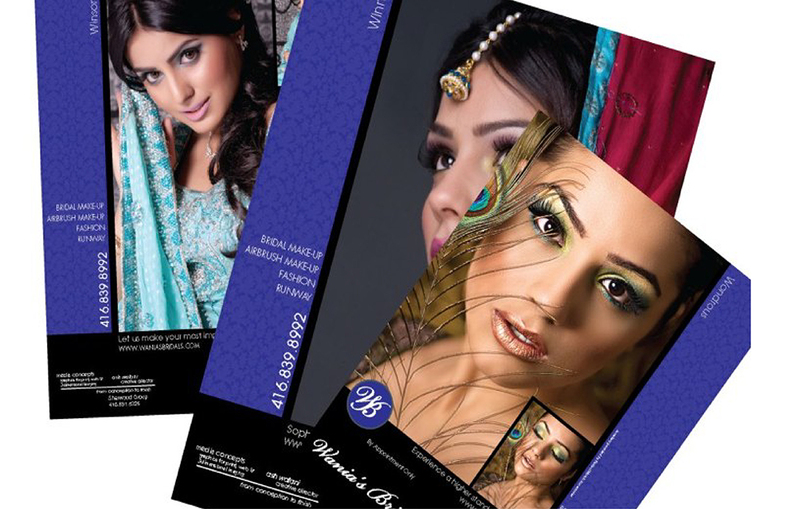 Each image carefully crafted and Photo-shopped to showcase the make-up and fashion. Typographical elements, while creative and artistic, remained strictly adherent to client policy. This served as the centerfold of a prestigious Canadian bridal publication.